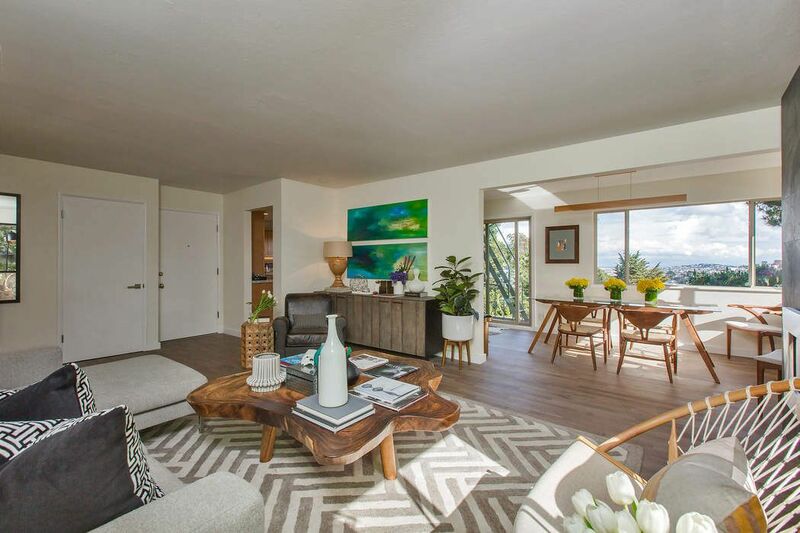 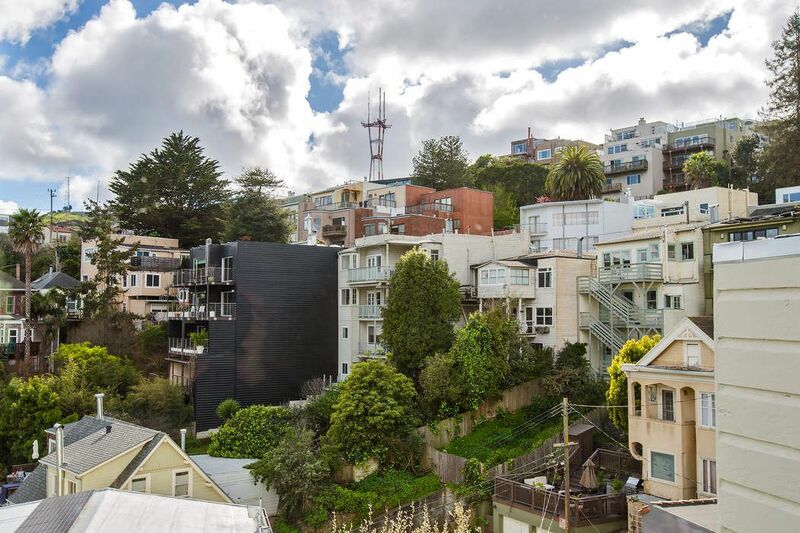 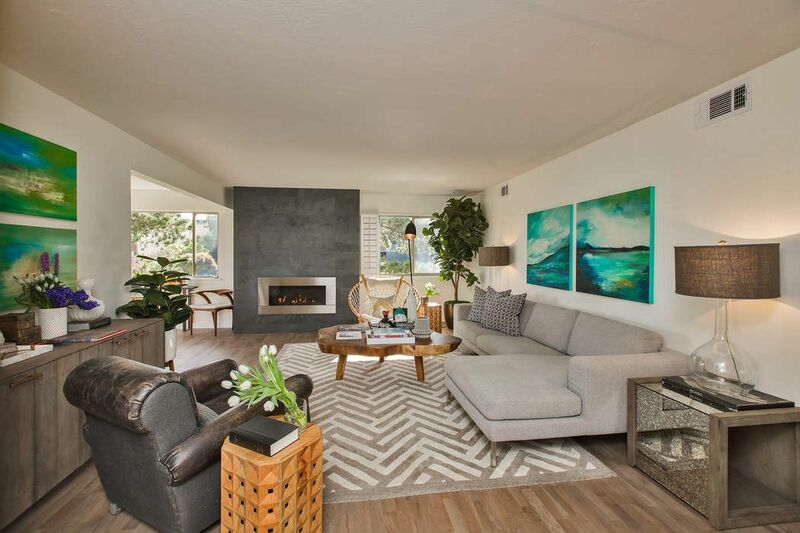 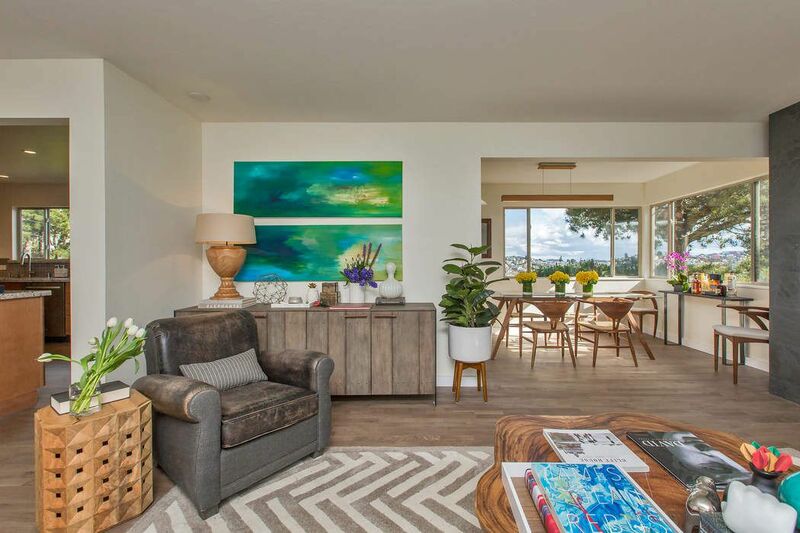 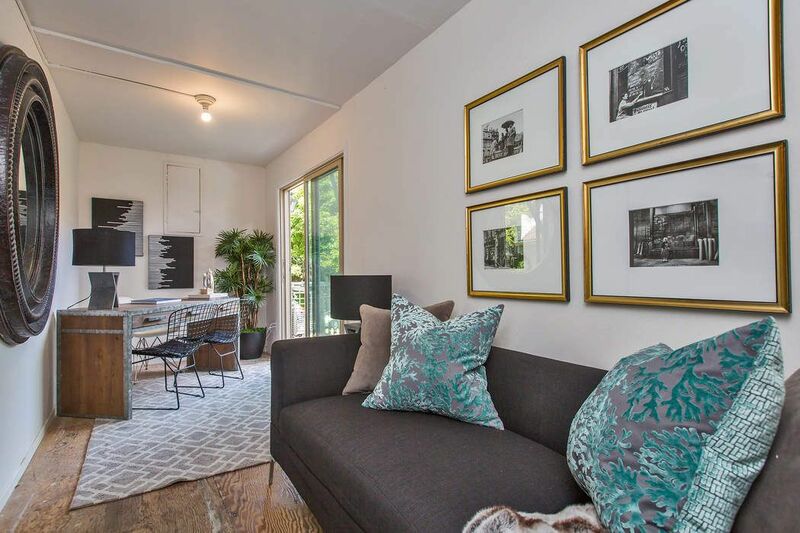 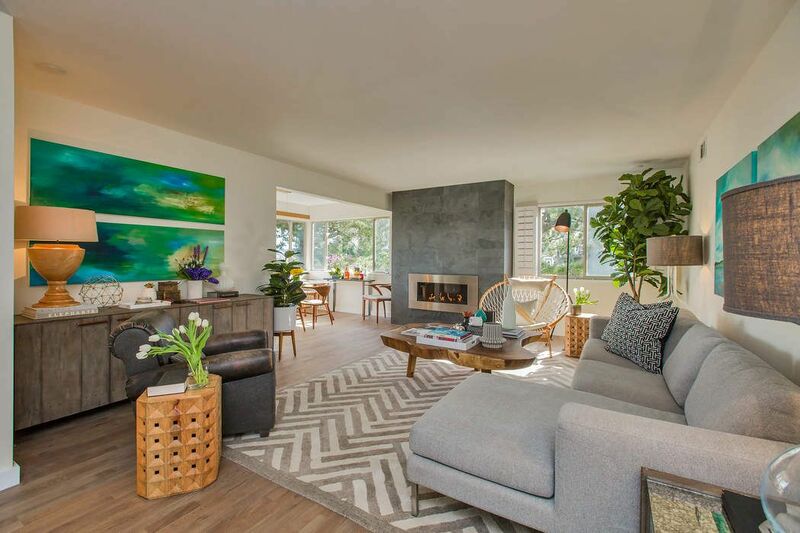 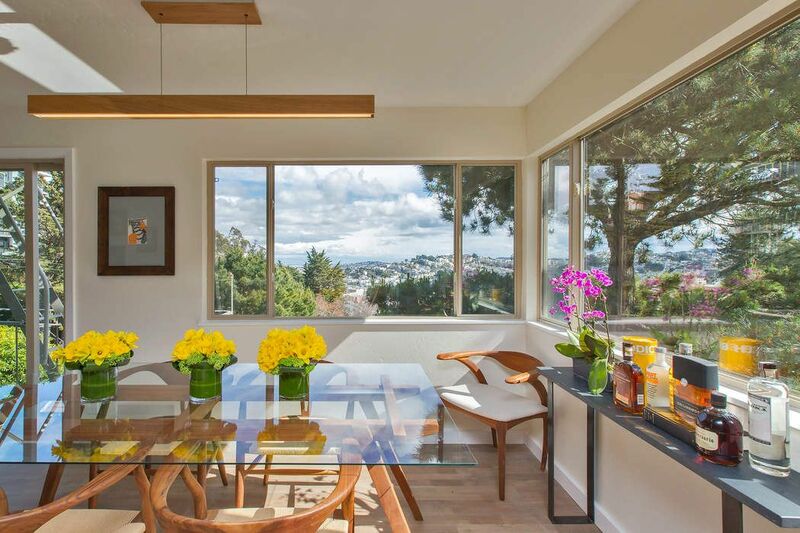 Remodeled View Condo in Garden Setting San Francisco, CA 94114 | Sotheby's International Realty, Inc.
Fresh and contemporary, this newly remodeled Mid-Century condo at the top of Corona Heights offers stunning views and city living in a quiet, park-like atmosphere. 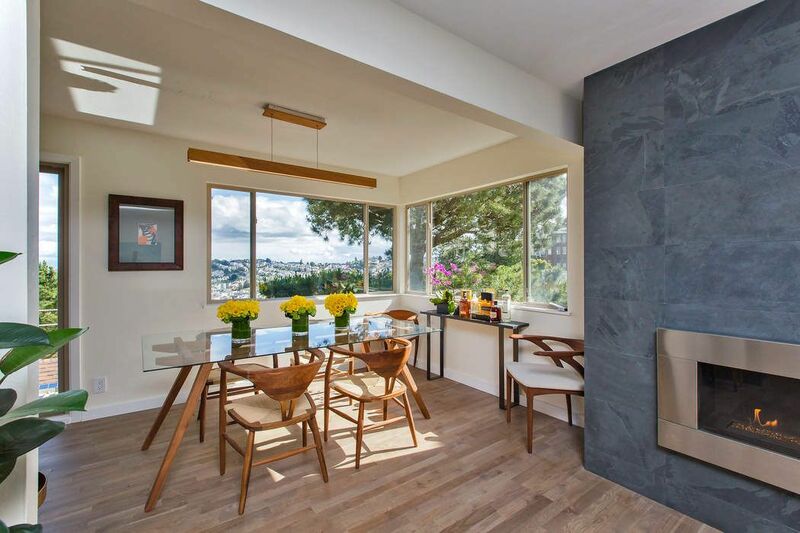 The main Living and Dining Areas showcase a modern gas fireplace surrounded by slate. 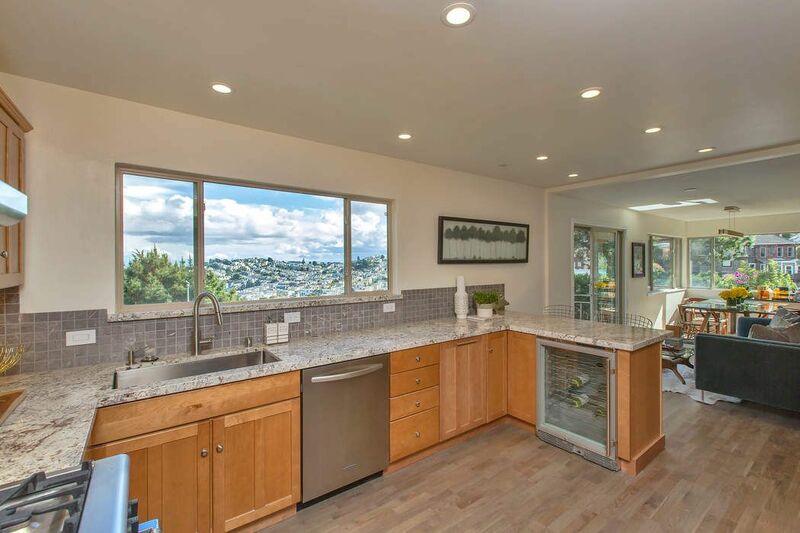 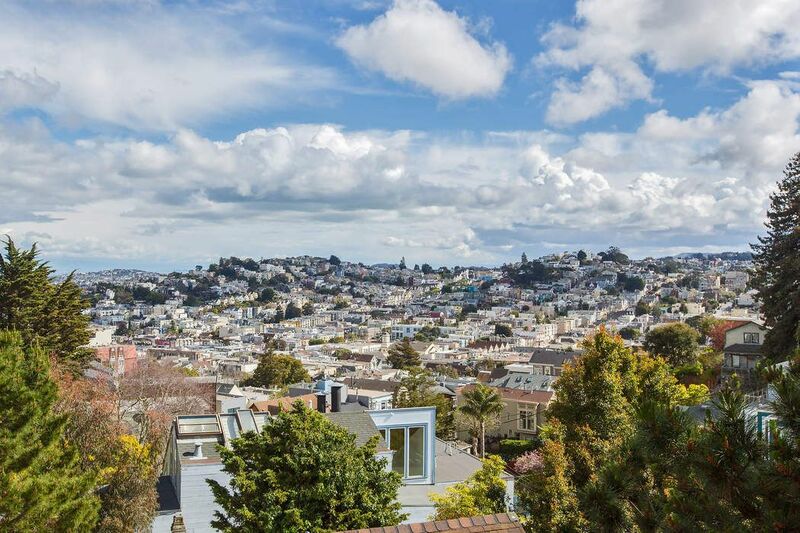 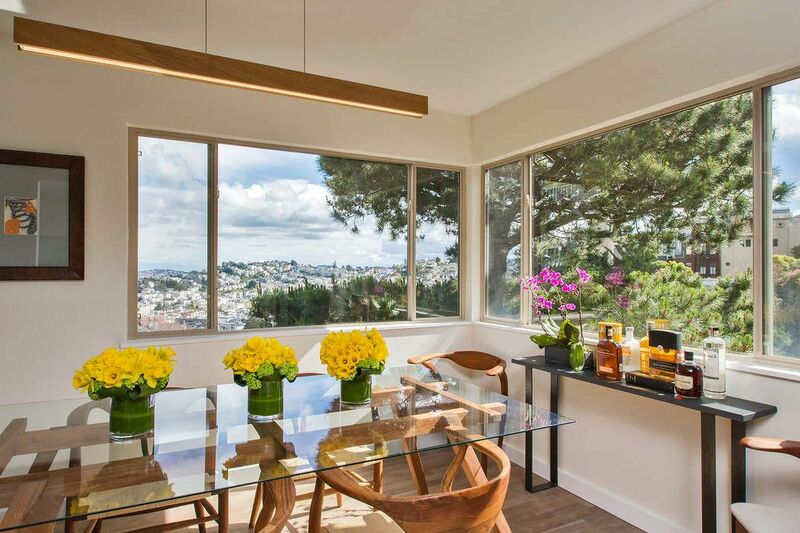 The large windows capture views across San Francisco Bay and to Twin Peaks and Eureka Valley. 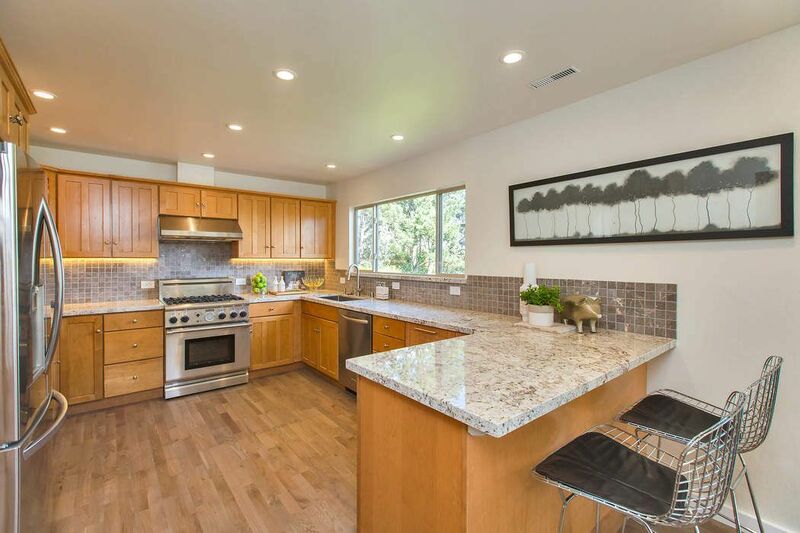 The large Chef's kitchen has granite counters, marble backsplash, dual-fuel Thermador professional range, and stainless appliances including a wine refrigerator, which together make cooking and entertaining a joy. 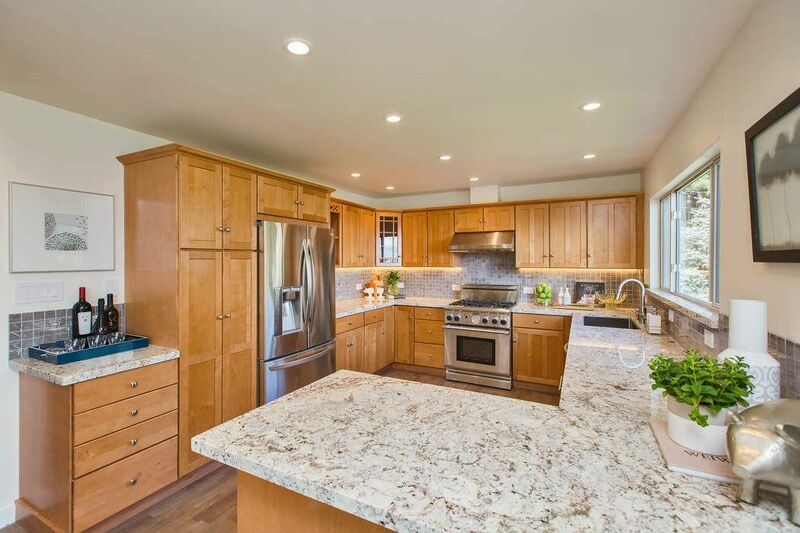 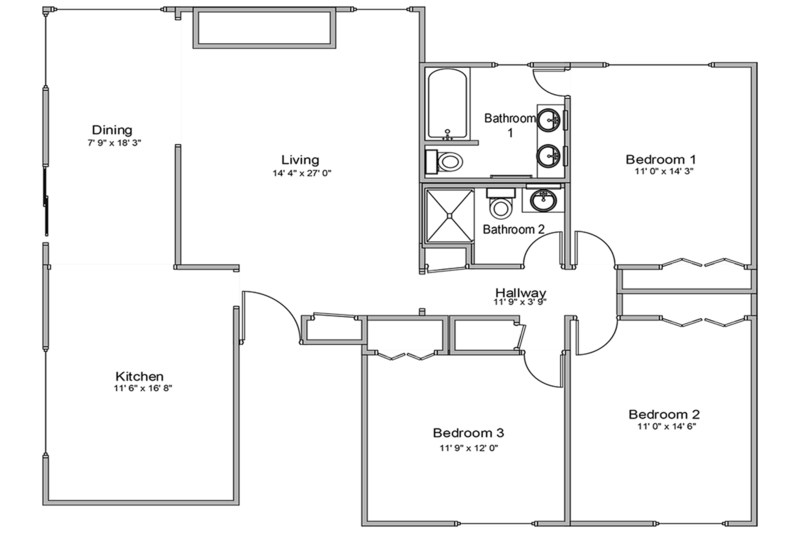 The smart layout offers plenty of storage, counter space and bar seating. 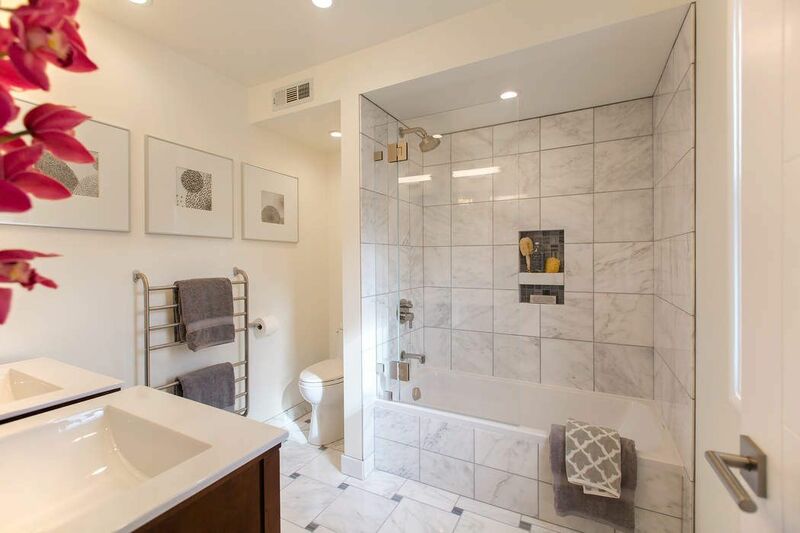 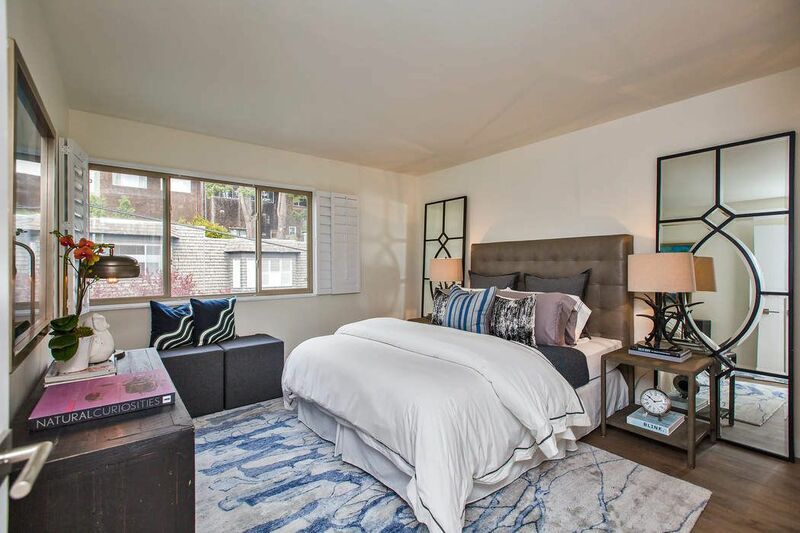 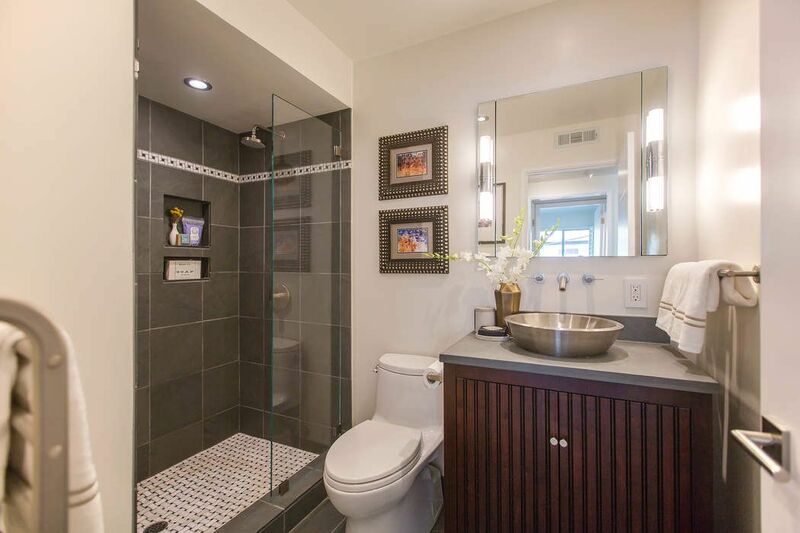 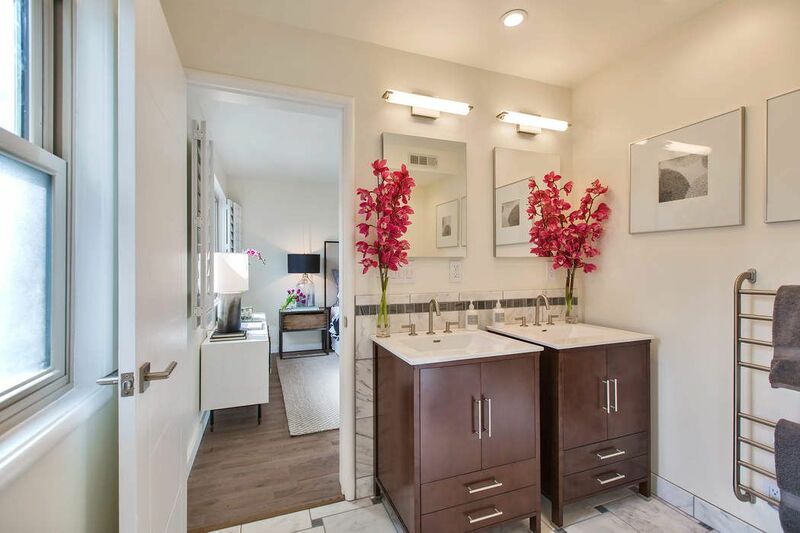 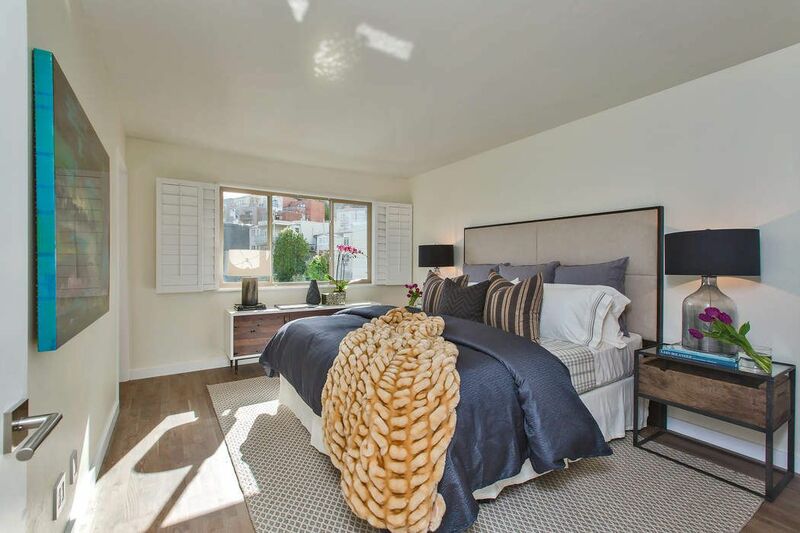 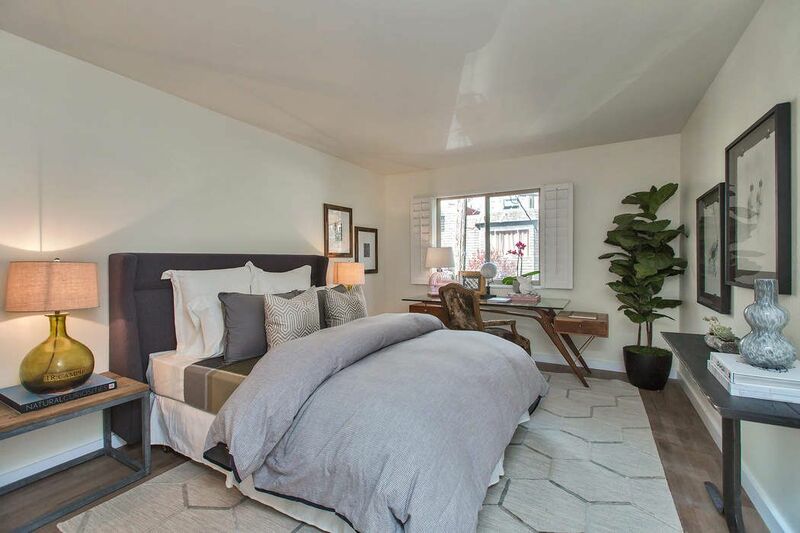 Three generous bedrooms and two full remodeled baths in slate and marble are located off the Living Areas, while a downstairs Bonus/Storage Room, Laundry Area and one-car parking complete the amenities. 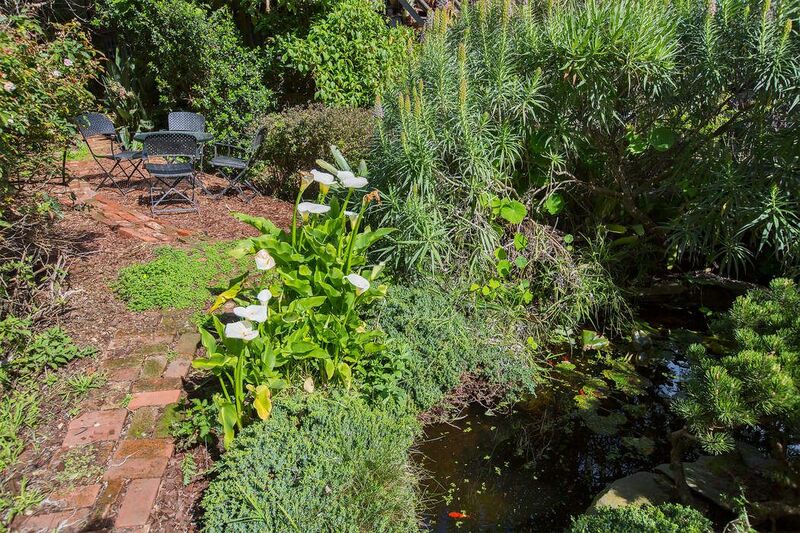 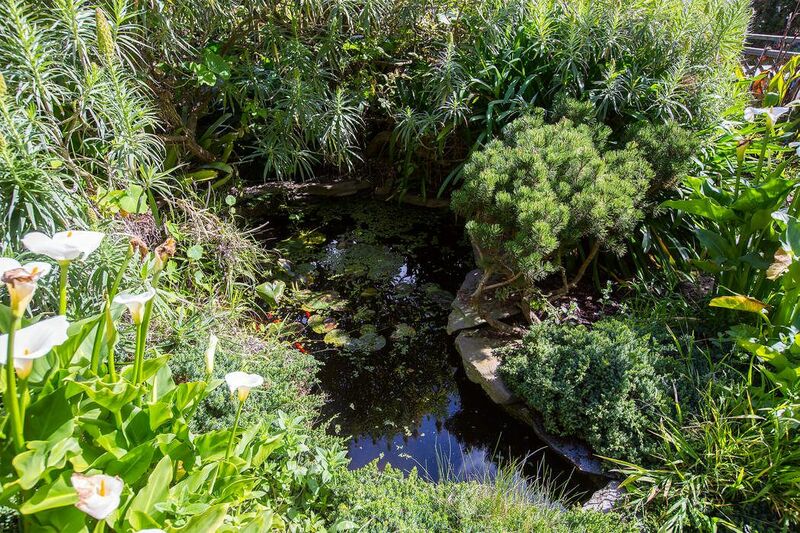 A lush and tranquil shared garden with terraced seating areas, mature fruit trees and a lily pond are an idyllic outdoor retreat at the Canyon View Condominiums. 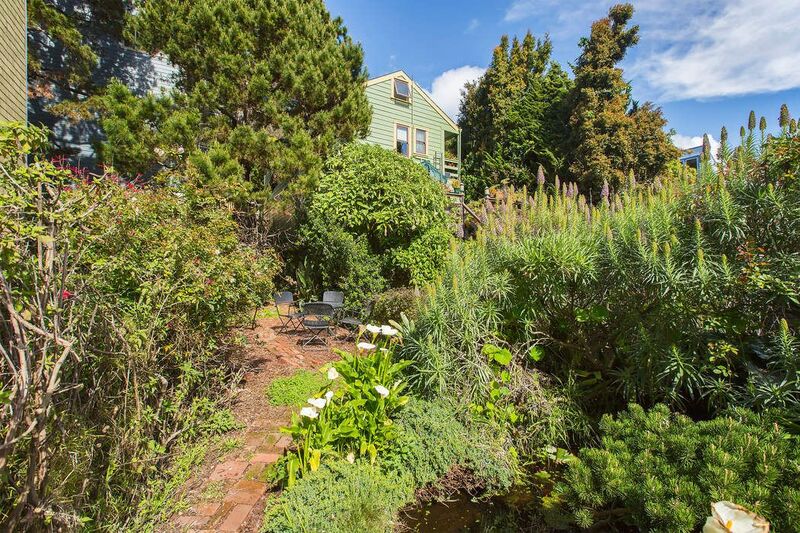 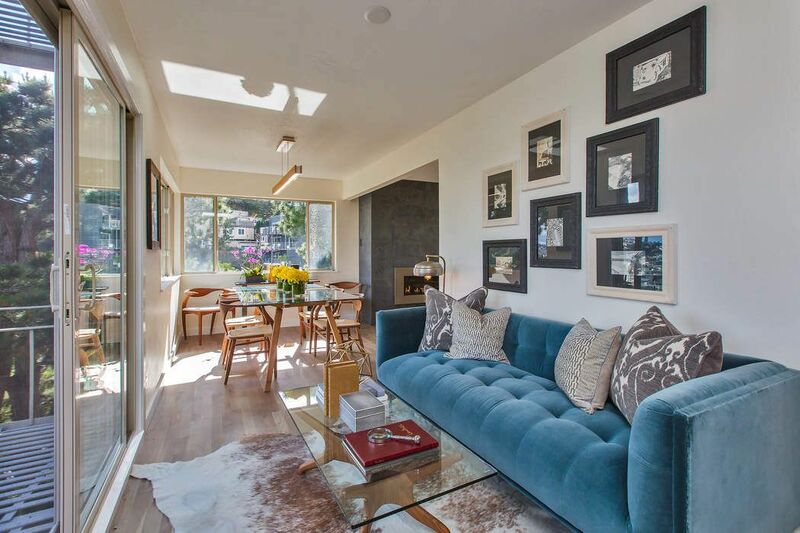 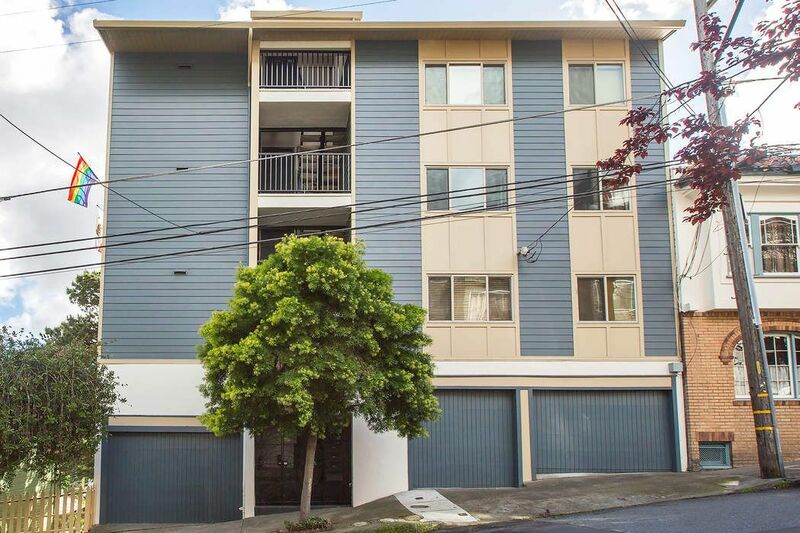 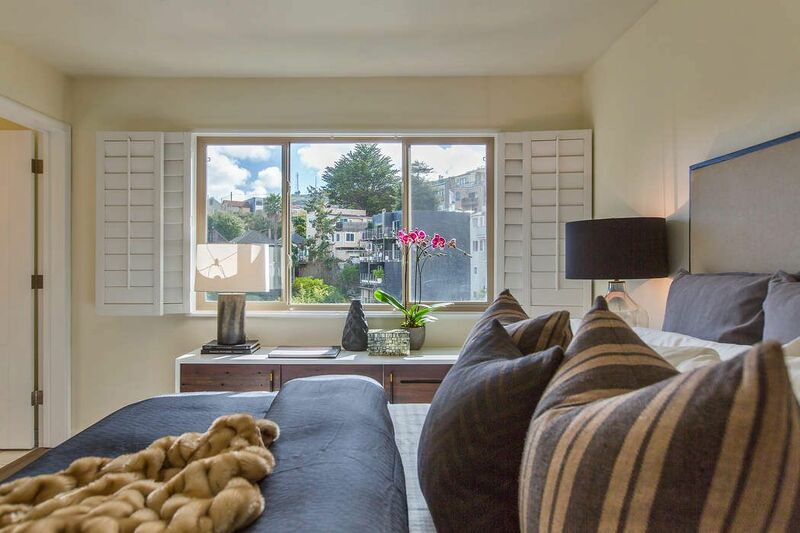 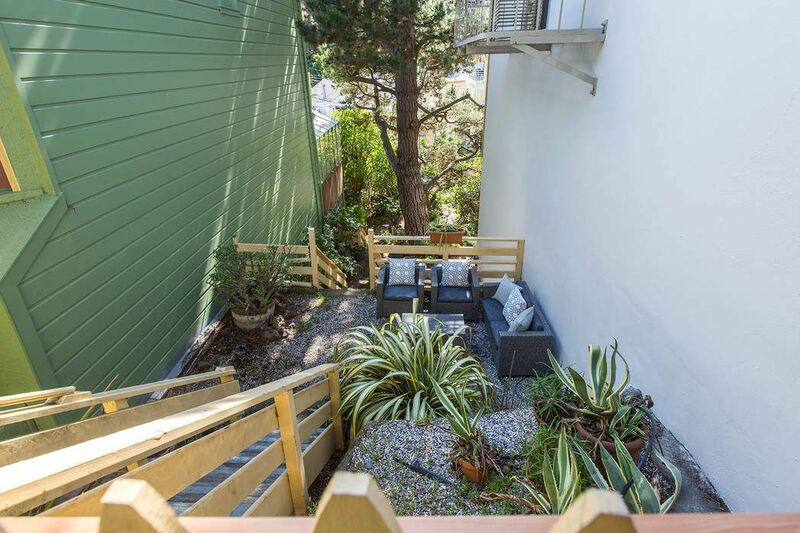 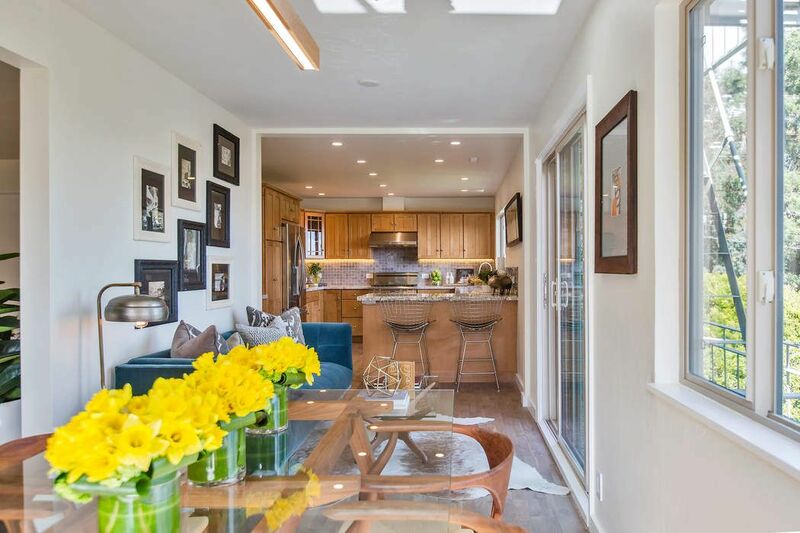 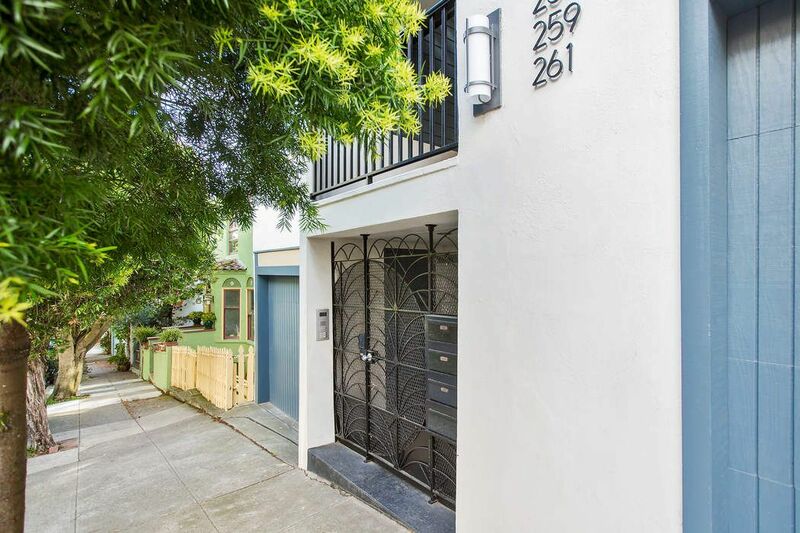 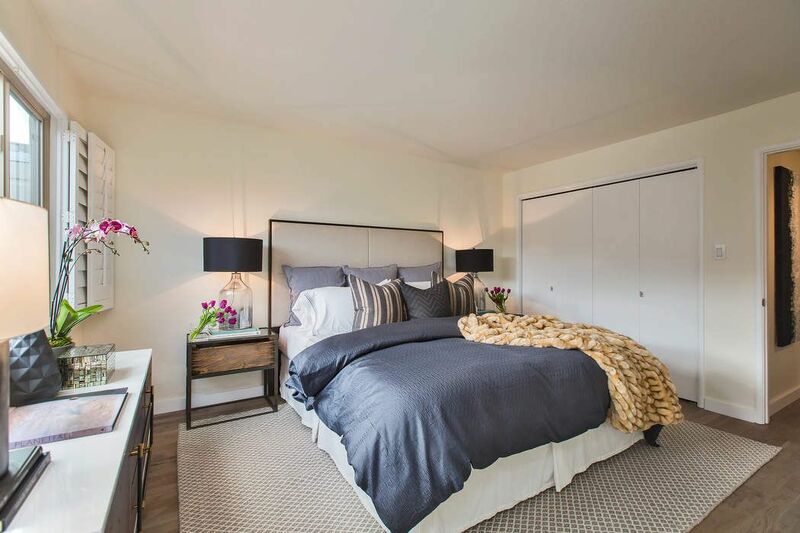 Located near the geographic centerpoint of San Francisco, 259 States offers easy access to the Castro, NoPa, Cole Valley, Duboce Triangle, and of course Corona Heights and Buena Vista Parks. 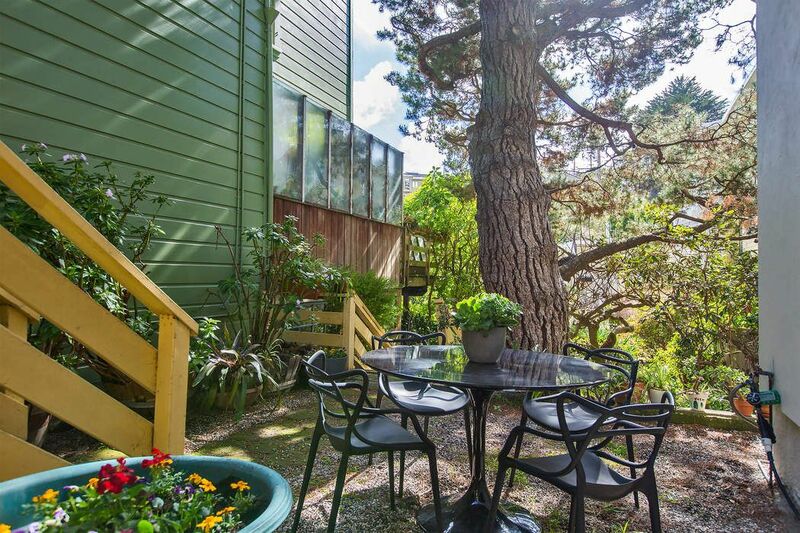 Monthly HOA dues of $420 include building maintenance, insurance (including earthquake), common utilities, garden, and reserves.